With few exceptions, Samsung’s flagship Galaxy S smartphones have come in two flavors with two different processors. Take the Galaxy S8, for example: The North American and Chinese variant has Qualcomm’s Snapdragon 835 processor, while the international variant has Samsung’s Exynos 8895. If history is any indication, Samsung will adopt the same two-chip strategy for its next flagships, the Galaxy S9 and Galaxy S9 Plus. And thanks to a press release on Friday, we have a pretty good idea of which Exynos processor will ship in the international models: The Exynos 9810. 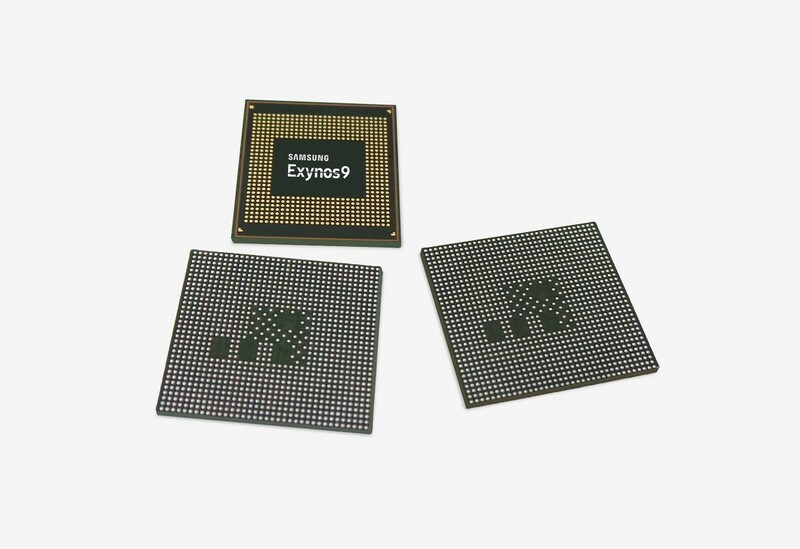 The Exynos 9810 is the second-generation SoC in the Exynos 9 series, and the first with 3rd-generation custom CPU cores. It’ll have a Gigabit LTE Cat. 18 modem with support for 6CA aggregation (which means it’ll be capable of combining six carrier signals for speeds up to 1.2Gbps), and it’ll be manufactured on a 2nd generation 10nm process. The Exynos 9810 will also feature an upgraded GPU, but Samsung didn’t provide specifics. It’s worth noting that Samsung typically uses Mali GPUs in Exynos SoCs, and that the Exynos 8895 featured a Mali-G71MP20. So how does the Exynos 9810 compare to its predecessors? To recap, Samsung’s 2016 flagship SoC, the Exynos 8890, featured custom CPU cores in the form of Exynos M1 (codenamed Mongoose). Per-core performance was roughly on par with the ARM Cortex-A72. In 2017, the successor the Exynos 8895, the Exynos 8895, featured 2nd-generation Exynos M2 cores, and the Exynos 9810 will feature even newer core designs. Samsung didn’t disclose the Exynos 910’s performance or power efficiency stats, unfortunately. It seems we will have to wait for those details to emerge at a later date. Samsung also showed off the ISOCELL Slim 2X7 on Friday, a camera sensor it announced earlier this year. It’s a 24MP image sensor with 0.9μm pixels — the smallest pixel size in the industry — with proprietary Tetracell and remosaic technology that simulates the performance of bigger-pixel image sensors. The Slim 2X7’s small 0.9μm pixel size allows it to squeeze inside thinner camera modules. According to Samsung, it’ll let premium smartphones offer high-resolution cameras in “slim and elegant” designs.